With love and gratitude for his life, the family of Dr. Clark A. Sammartino announces his death on February 5, 2019. Characterized by an unassuming and cheerful nature, boundless energy, kindness, and respect for others, Clark’s life was devoted to hard work consistently done well. Clark graduated in 1955 from Classical High School in Providence, and attributed his overall future preparedness and academic successes to Classical’s exemplary teaching staff and educational structure. 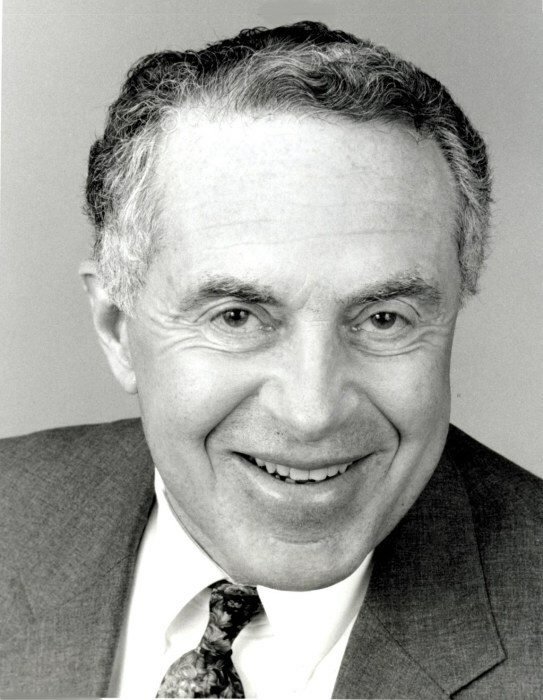 A 1959 Bachelor of Arts graduate of Brown University, Clark served as his alumnae class president for decades, co-chaired reunions, and was a board member of Brown’s Athletic Hall of Fame. Clark also received a Master of Science degree in bacteriology from the University of Rhode Island. He graduated with honors in 1964 from the Tufts School of Dental Medicine, and ultimately became an assistant clinical professor there. An oral and maxillofacial surgeon for 27 years, Clark retired at 57 from his medical practice and subsequently founded Blue Fin Capital, an investment advisory firm, with partners Rich Carolan and Mars Bishop. While engaged in these two highly successful and divergent careers, he also parlayed his love of boxing into the role of boxing judge, a fascinating past time that led to world wide travels, in which he presided over more than 120 championship bouts on behalf of all four major organizations recognized by the International Boxing Federation. Over his many years as a health care professional, Clark was the Chief and Director of Oral and Maxillofacial surgery at Rhode Island, Roger Williams, and St. Joseph’s/Our Lady of Fatima Hospitals, as well as Roger Williams Medical Center. He also was a past Rhode Island Dental Association President and Diplomate of the American Board of Oral and Maxillofacial Surgeons. During the course of his exceptional career, Clark offered patient mentorship to surgical residents, engaged in teaching opportunities for nursing staff, and published scholarly articles in various medical journals, including the Journal of the American Dental Society, the Journal of the American Medical Association, and the Journal of Oral Surgery. Clark also was a catalyst in the formation of Rhode Island’s Donated Dental Services, which provides dental care to needy and disabled Rhode Island residents. Outside of the health care realm, many other organizations benefitted from Clark’s strong leadership and desire to benefit his community. Selected examples of his volunteer activities include his roles as former Chairman, Rhode Island Health, Education and Building Corporation; former Board President,Saint Mary’s Home for Children; and former President, the American Cancer Society (Rhode Island Division). In his personal life, Clark was especially well known for his frequent and creative teasing of family and friends, his swanky pocket squares and ties, early morning ocean swims, body surfing, not-so-secret evening kitchen raids for ice cream and other sweets while his wife “slept,” and wowing his grandchildren with the world’s best cow call. He enjoyed a varied range of music, especially cherishing the song “Summertime” from Porgy and Bess. He was passionate about his family, the Red Sox, the Patriots, and gummy bears. Clark became a capable swimmer during his youthful summers at Plum Beach and, as a result, subsequently worked as a lifeguard all along South County’s coastline. He is Rhode Island’s only recorded shark attack survivor. Like the shark he evaded, Clark was a man in constant motion. Nonetheless, he had a gentle and unhurried demeanor, and always made time for a pleasant exchange as he navigated his busy days. Clark applied his prodigious work ethic, generosity, and simple goodness to accomplish so much for so many. As a result, he was admired and loved, even by those who did not have the gift of lengthy acquaintance. Many who have enjoyed and benefitted from his warm and attentive friendship have done so for decades. Clark will be remembered as an exuberant optimist, gentleman philanthropist, and a generally exceptional yet modest man. The son of the late Dr. Agostino and Frances Sammartino, Clark is survived by his wife of 57 years, Carole, his four children Catherine “Cassie” Berg, Joanna Bailey, Michael Sammartino, and David Sammartino, and their spouses Andrew Berg, Thomas Bailey, Pamela Sammartino, and Kimberly Sammartino, respectively. Clark also is survived by his eight grandchildren, Lucas Berg, Adam Berg, Nicolas Berg, Clark Sammartino, Emma Sammartino, Isabelle Sammartino, Augustus Bailey and Ameline Bailey, and seven nieces and nephews. He is predeceased by his twin daughters Lisa and Joanna Sammartino, and his sister, Frances Innis. Friends and relatives are invited to attend calling hours on Sunday, February 10, from 2:00 to 6:00 p.m. at Maceroni Funeral Home, 1381 Smith Street, North Providence. A Mass of Christian Burial will be held on Monday, February 11, at 10:00a.m. at Blessed Sacrament Church, 239 Regent Avenue, Providence. Interment will follow at St. Francis Cemetery in Pawtucket, Rhode Island. Please omit flowers. Gifts in Clark’s memory may be made to the Saint Mary’s Home for Children, 420 Fruit Hill Avenue, North Providence, R.I. 02911. His was a life abundantly full; ours a little less without him in it.